Joint Care Sport is the only dietary supplement that contains Collagen type 2 in addition to Glucosamine and Chondroitin. This Collagen type 2 is the main component of cartilage. Supplementation of this high-quality collagen 2 promotes the repair of damaged cartilage in osteoarthritis. Joint Care Sport has also been strengthened with Hyaluronic Acid. This Hyaluronic Acid is a body-specific joint lubricant that is produced in cartilage and optimizes joint lubrication. Joint Care Sport also contains MSM and herbs such as Myristoleic Acid and Boswellia with a powerful anti-inflammatory and analgesic effect. 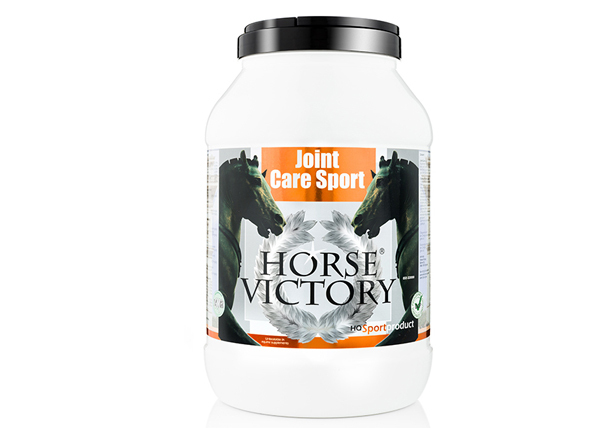 These ingredients together with antioxidants, minerals and the necessary vitamins make Joint Care Sport the supplement that should not be missed in professional horse husbandry. Most riders feel a marked improvement in the movement of their horse within two weeks.